The Academy Legacy or an April Fool? If it weren’t so serious it would be laughable that the Governors (released on their website on April 1) a letter offering, as a benefit of conversion, the grand sum of £70,000 for Vale, £70,000 for Ladywell and £50,000 for Hilly Fields. This is a Federation that in 2014 had a combined income of £17 million, and made in what must surely be a co-incidence (??) the same amount, (£190,000) from facilities and services. As a public service (since most communications from the school don’t actually reach parents) we reproduce them below. And we would ask the question – where is this money coming from? The Headteacher and his team would be able to vary the curriculum 11 -16 to meet pupil needs more effectively The Headteacher and his team would be able to vary the curriculum 3 -16 to meet pupil needs more effectively The Headteacher and her team would be able to vary the curriculum 11 -16 to meet pupil needs more effectively. This entry was posted in Finances, HillyFields, Ladywell, Prendergast, Vale on April 14, 2015 by spuddybike. This will be an ideal opportunity to see whether they have actually come up with ANY arguments in favour of their proposals. The detailed response by the campaign to the proposals if you want some bedtime reading before the meeting is available at SAIL response to the WP. This entry was posted in Action, Prendergast, Uncategorized on April 10, 2015 by spuddybike. This entry was posted in Action, March, Prendergast on March 12, 2015 by spuddybike. 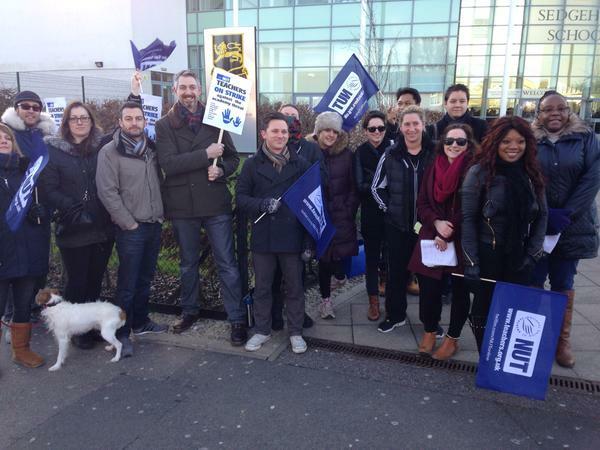 An incredibly powerful turnout across all three Prendergast schools and Sedgehill, for the strike against academisation, included teachers from both (NUT and NASUWT), support staff (GMB), parents and students. A large contingent then went up to the Leatherseller’s offices in the City of London to demonstrate and hand in a letter of opposition. 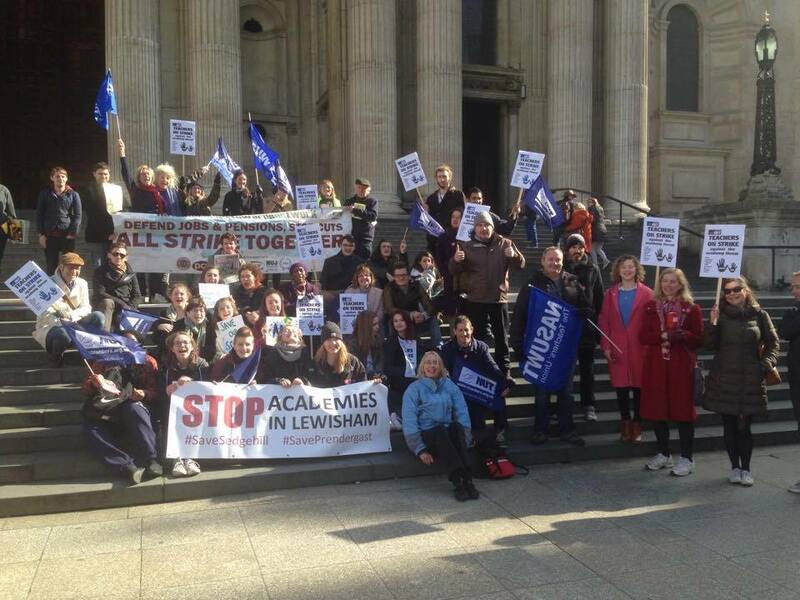 A massive thank you to everyone who participated and those of you couldn’t be there but supported online. This entry was posted in Prendergast, strike on March 6, 2015 by spuddybike. 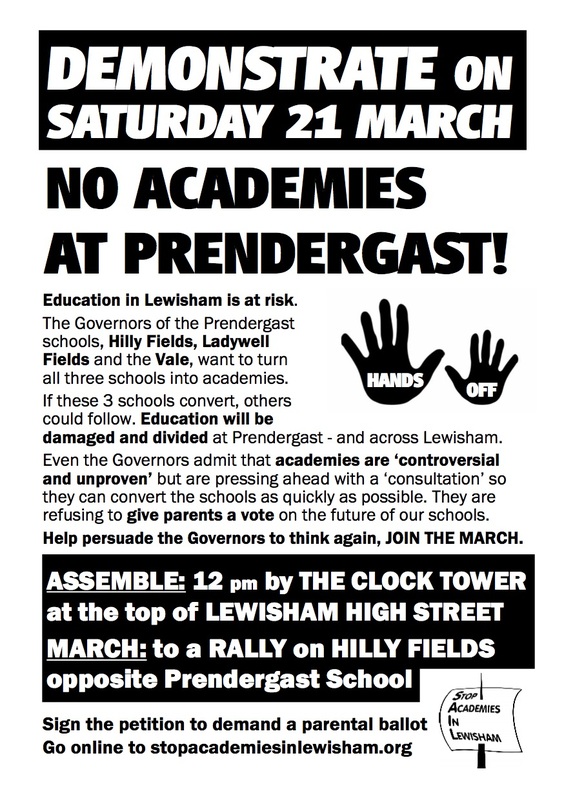 On the lunchtime of Wednesday 4th March, students from Prendergast Hillyfields, organised a highly effective and peaceful one hour strike and demonstration opposing the academisation of Prendergast schools. Some enterprising Year 8’s also took everyone by surprise sporting home made tee-shirts with what is surely becoming the favourite student slogan “We are not Sheppard’s Sheep”. 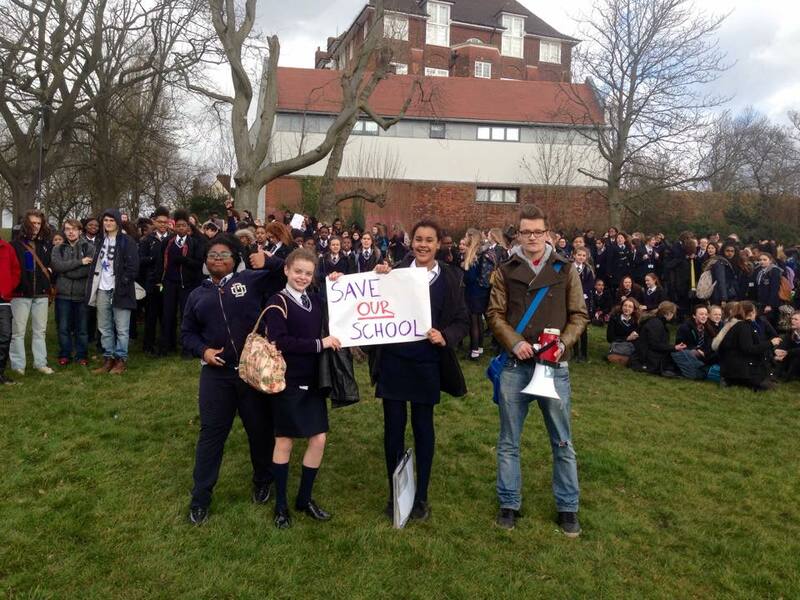 Hilly Fields students have also produced a massively inspiring video “We say No to Academies because ..”. Go watch it. This entry was posted in Prendergast, sedgehill, strike on March 6, 2015 by spuddybike.